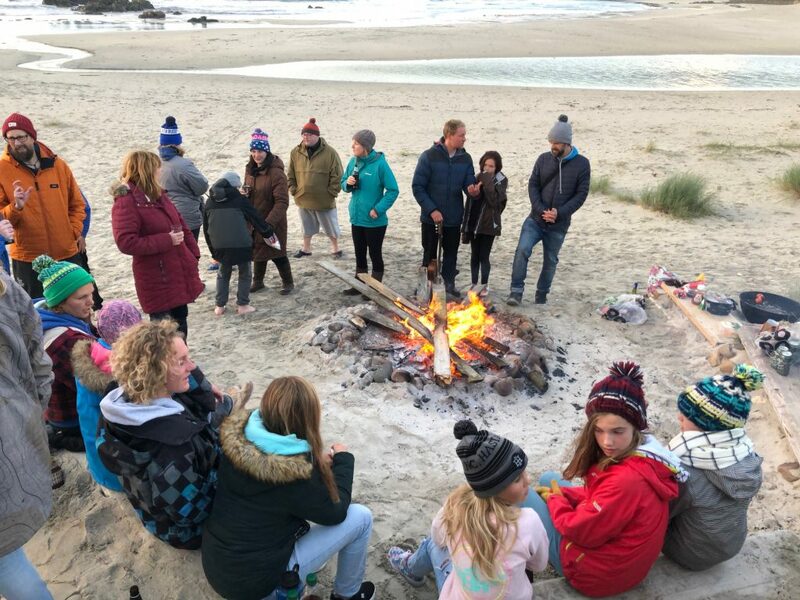 The Gathering of the Clans (Scottish Inter-Club Championships) took place on the Isle of Tiree on the 15thand 16thof September and the event was hosted by The Scottish Surfing Federation and Tiree Surf Club. 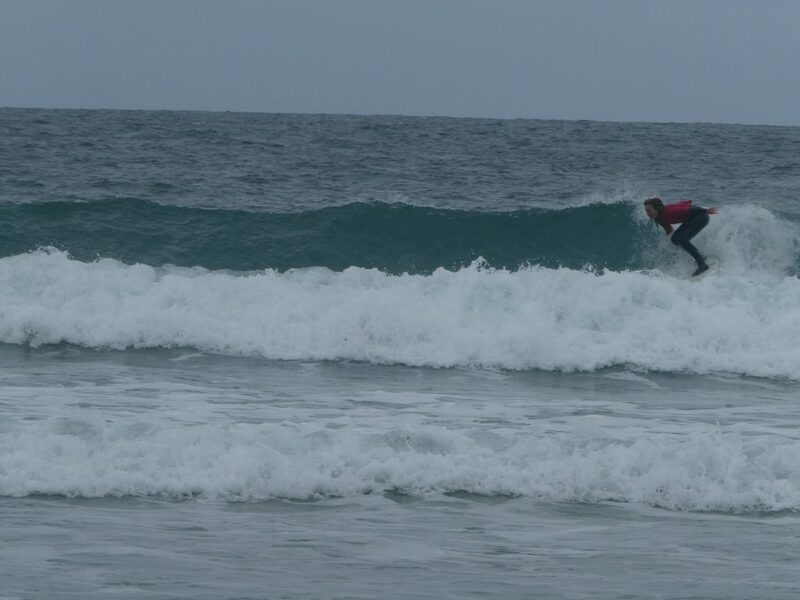 Competition got underway with the junior divisions on the Saturday morning at Ballevulin beach in clean 2ft conditions – perfect for the young surfers to show off their repertoires. 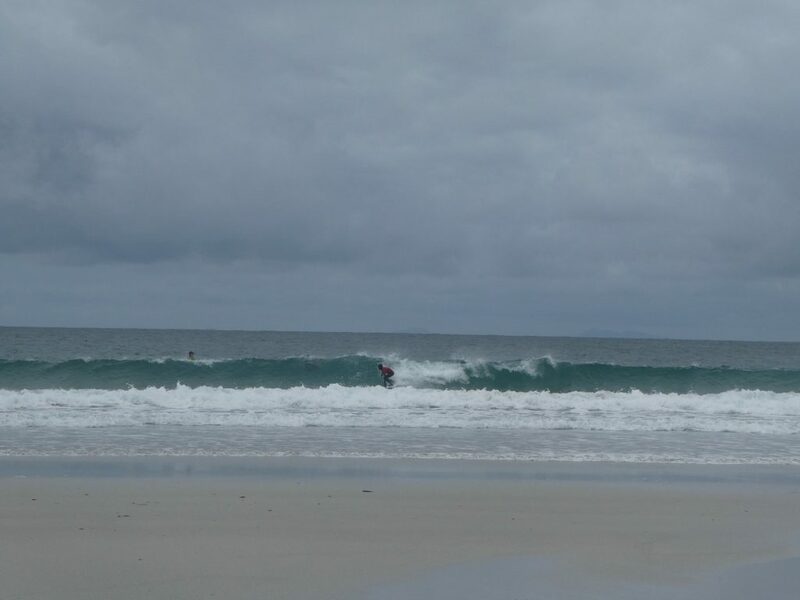 The Sunday produced 3ft onshore conditions at Balephuil beach which were perfect to get the Open Men, Open Women, Masters and Longboard divisions completed. 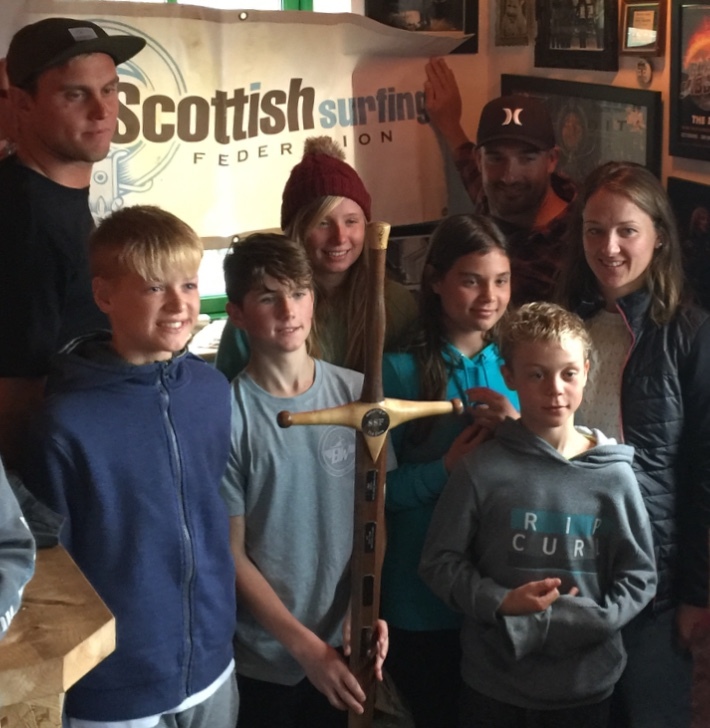 Standout of the Saturday morning, in the U14 division, was Craig McLachlan of the North Shore Surf Club (NSSC) who was competing for the North of Scotland (NS) team at this year’s event who were last year’s winners. The Under14s division was the largest category at this year’s gathering of the clans and in the first round Craig posted excellent scores to give him the highest heat total of the entire event (16.5pts out of 20) – the judges rewarding Craig’s variety of clean, powerful carve, layback and fins out re-entry manoeuvres. A standout from the junior girls was young Robyn Larg (TSC) who made the U14 final, was runner up in the U18girls and also came in 3rdplace in the womens category on Sunday. Thurso’s Iona McLachlan was another standout for the females in her last year in the U18 division took the win comfortably but also took out the womens division on the Sunday – Iona’s patience waiting for good set waves in the final paying off and her manoeuvres giving her scores in the good range to take a comfortable win. The Under 14s final was one of the most hotly contested heats on Saturday between Ben Larg (TSC) and Craig McLachlan (NS). Ben took an early lead in the heat posting a 5pt ride but Craig answered back with a 6 shortly afterwards. 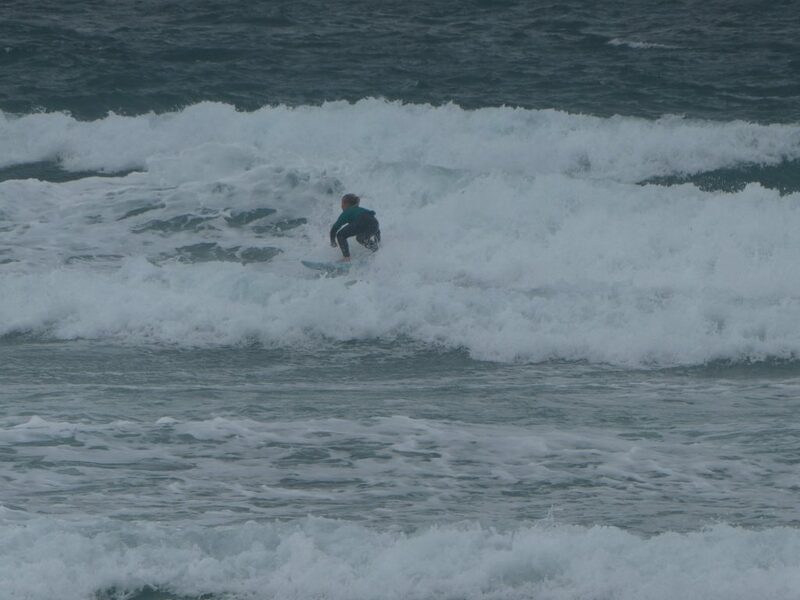 Craig backed up with a 5 on his next wave giving him the advantage. 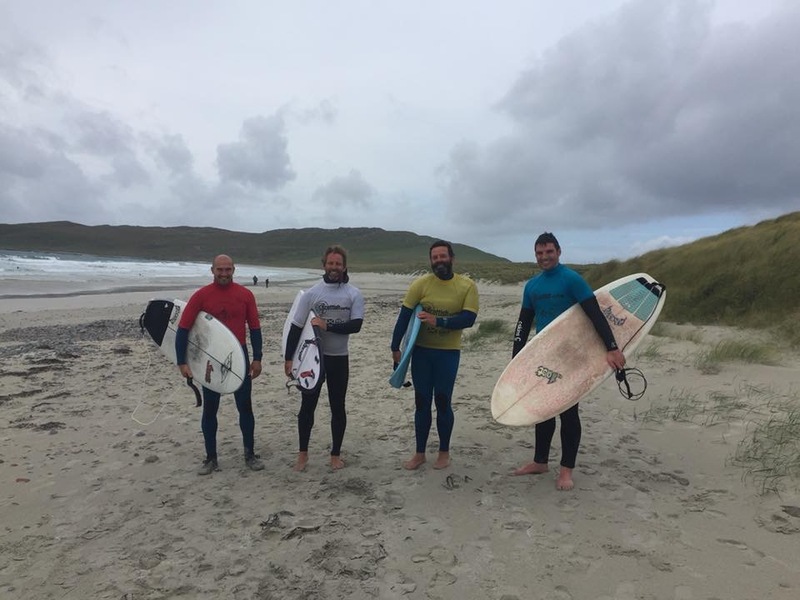 But Ben posted a 7 in the dying minutes to take the win – a nail biting affair for the Tiree Surf Club and much needed points for the club to be in contention for the Clans Sword. The U18 boys was won by Finn MacDonald (TSC) who outscored Ben Larg (TSC) to take the win with a 5.5 and a 5. Craig McLachlan surprisingly never made the U18 final due to the semi final 1 being stacked with Finn, Craig and Ben due to the way the team seedings affected the draw – this was a blow to the North of Scotland’s hopes of winning the overall team prize, but Ben Kobedza (NS) managed to place 3rdin the U18 final after progressing through semi final 1 to secure 730 points for the North of Scotland team. The Open Semi finals were the first heats on Sunday morning at Balephuil. Scottish Mens Open champion Mark Boyd was the first to hit the water and posted two very good scores on lefthanders to give him the highest heat total of the day (14.5pts). Boyd (NS) progressed into the final along with Finn MacDonald (TSC) in second place with a 9 point heat total. Open Semi final 2 saw some of Scotland’s national senior team members Donald Peace (LSC) and Scottish Masters Champ Craig Sutherland (NS) be surpassed by 13 year old up and comer Ben Larg (TSC). Ben progressed into his first men’s Open final with a heat total of 9.5pts along with Craig Sutherland who failed to find a backup for his 5pt ride. Craig’s semi final heat total was 7.5. Donald peace was eliminated. The Mens Open final was full of drama. Mark Boyd continued his winning streak after winning the Scottish Nationals earlier this year and took the win posting a 6 point ride for a single manoeuvre on a left hander and then backed this up with a 7 for a combination of manoeuvres on another lefthander. A worthy victory for Boyd after having been runner up in the Open Division of the previous 5 Gathering of the Clans. 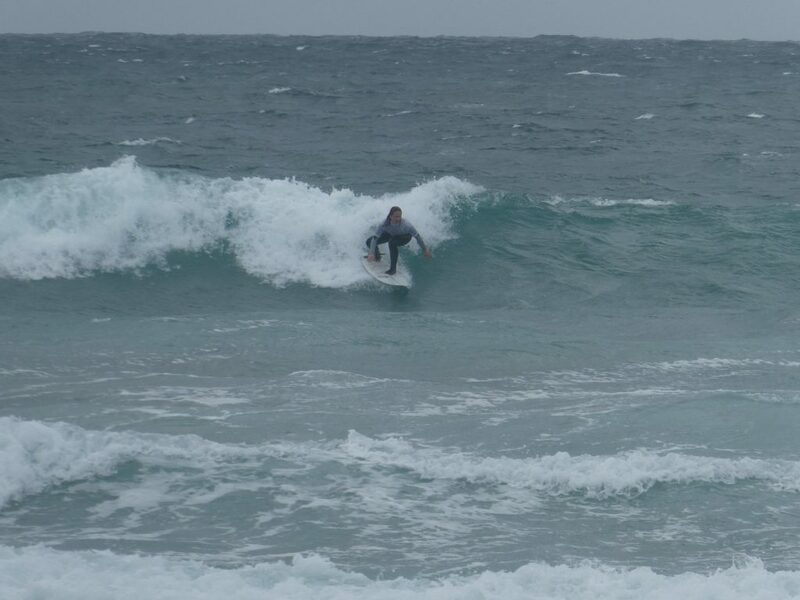 Craig Sutherland failed to find his form after a long surf starved summer could only manage low average scores to give him an 8.5 heat total. Competitiion was tight between Finn MacDonald (TSC) and his team mate Ben Larg (TSC). Ben posted a 5pt ride early putting him into 2ndwhich Ben later backed up with a 4.5 then a 5.5 to give him a 10.5 heat total. Finn answered back with a 5.5 and a 4.5 leaving Ben with a marginal lead over Finn for the runner up spot but in the dying minutes Finn posted a 6pt ride to take a marginal lead over Ben putting him in 3rdplace – then much to the amazement of the crowd Larg (TSC) battled with Boyd for a peak. Boyd confidently took off in the centre of the peak to go left and Larg tried to go right to keep Boyd off – the judges unanimously called an interference Larg on Boyd meaning Ben Larg’s second wave score of a 5 would be halved leaving him with a heat total of 8 meaning Larg would drop to 4thplace costing Tiree Surf Club crucial points. The Longboard final took place straight after the open – again Boyd and MacDonald would take the 1stand 2ndspots respectively. Boyd took the lefts and managed to combine some traditional cross stepping/nose riding with turns and cutbacks for some good scores leaving him with an 11pt heat total over Finn who opted to go mainly right and posted a heat total of 7.5pts. Craig Sutherland (NS) dominated the masters division as per usual with a cracking backhand snap to open up his account scoring him a 6. 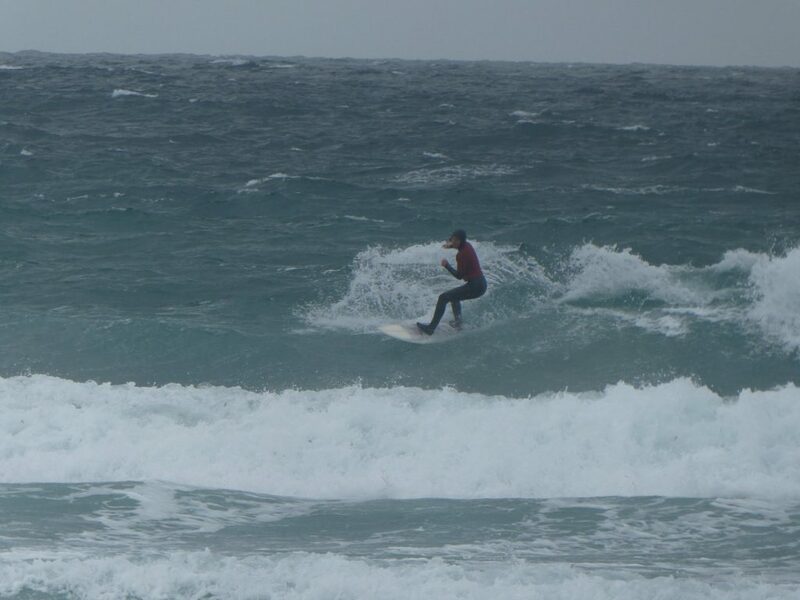 He later backed this up with a 5 to give him a comfortable lead over Martin Larg who chose excellent waves to earn 860points and a second place for Tiree Surf Club. The last heat of the day was the ladies final. Catriona MacDonald got off to an early start with a 5 point ride for a big left and a late drop. Cat backed this up soon after with a 4.5 for a similar ride. 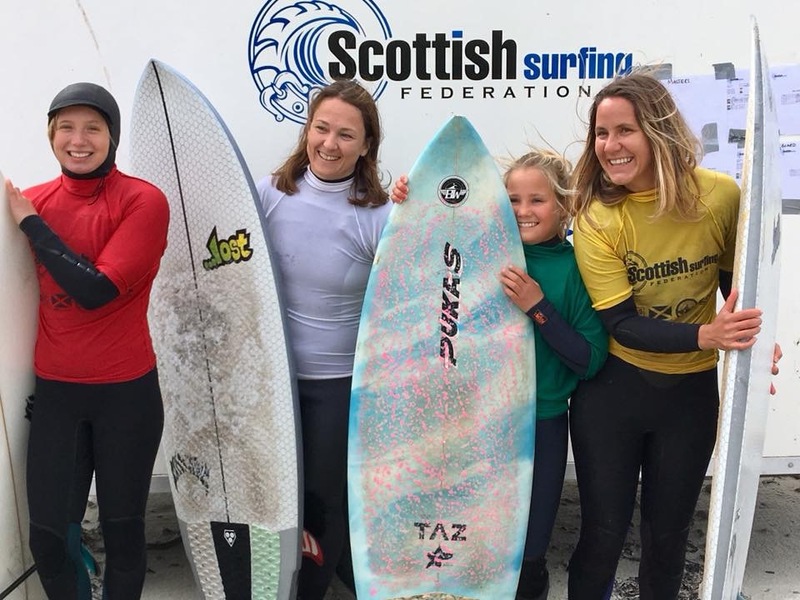 But it would be Iona MacLachlan who would steal the show by being patient and executing manoeuvres on the good waves she selected with a heat total of 11.2. The overall team prize was won by the North of Scotland (NSSC / MFSR) with a total of 9040pts from 5x 1sts, 3x 2nds and a 3rdmaking up their 10 scores. 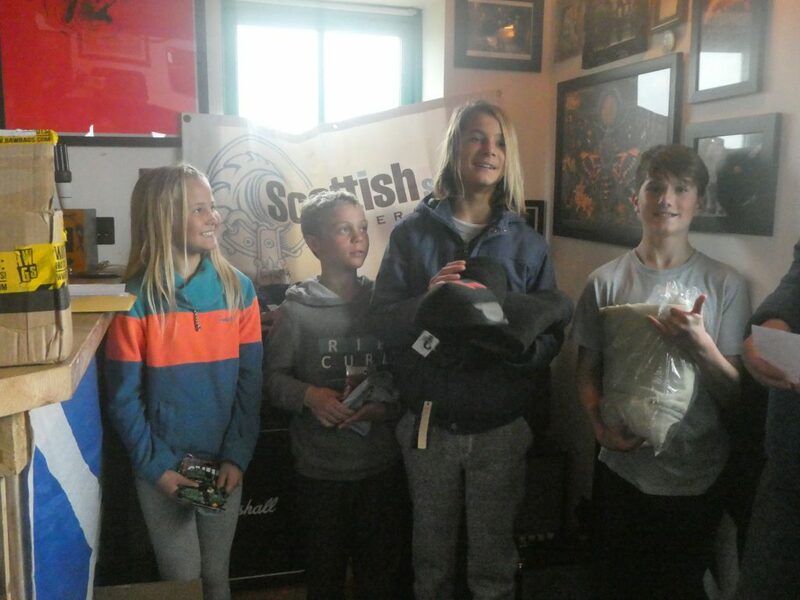 Second placed team was Tiree Surf Club (TSC) with 8300pts for 2x 1sts, 4x 2nds 3x 3rds and a 4th. 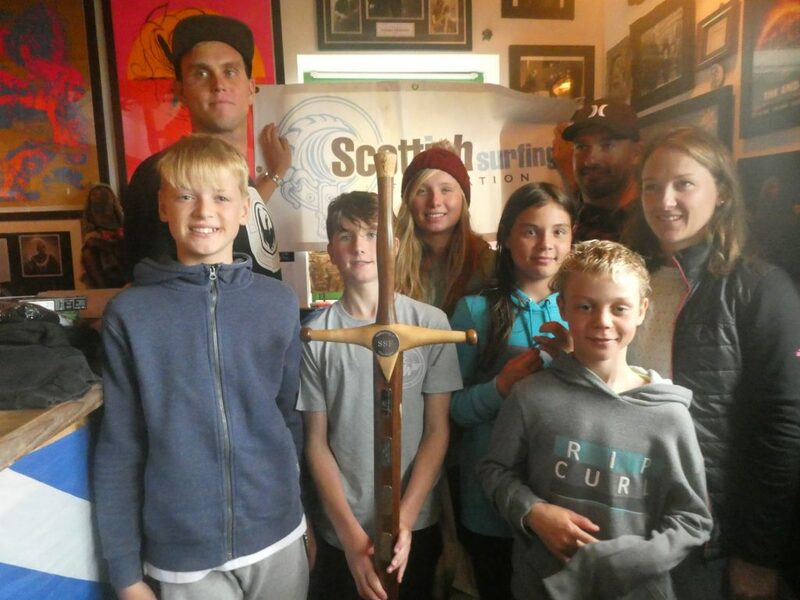 And Third placed team was Lossie Surf Club (LSC) with 6405pts.